Technical analysis is speculation of future market trend based on previous and current market trend, detected by applying indicators, patterns and strategies. Technical Analysis only implies future market trend in which it will meet certain price within certain time, however, it does not represent accurate market movement until that certain price as well as Entry and Close prices. PForex is not only an educational portal but also a principal technical analysis provider. Since successful trading in financial markets needs tremendous experience and knowledge as well as sufficient time to monitor market trend, most of the traders loss great deal of money due to insufficient skills or lack of time to recognize a good spot to place a profitable order. 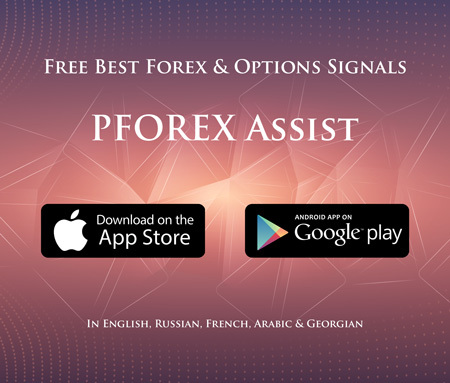 Providing valid technical analysis has become an indispensable factor nowadays hence PForex has decided to develop PForex Assistant App with most valid and reliable results and output. PForex technical analysis team has boosted PForex Assistant by applying most advanced algorithm, valid techniques and latest high-tech systems via ultra-fast delivering approaches. Provided Technical Analysis will be on all major financial market instruments in all available time-frames. Traders, with any trading preferences and methods, can exploit technical analyses and trading signals provided by PForex assistance along with their favoured techniques to detect Entry and Close spots more precisely. For instance, traders who have problems in detecting accurate Close prices for their trades, can utilize PForex provided trading signals and technical analysis to find valid TP and SL prices. Traders who detect Entry and Close prices by any trading methods can utilize PForex provided trading signals and technical analyses as confirmation for more secured and sound trades.